Development Horizons by Lawrence Haddad: Friday round up: All change at top, the curse of elections and crowdfunding of risky research? Friday round up: All change at top, the curse of elections and crowdfunding of risky research? 1. All change at the top. I was really pleased to see that Kevin Watkins has been appointed the new Director of ODI. Kevin is an original thinker, an articulate speaker, and a thoroughly nice person. As is the outgoing Director, Alison Evans. She has done a great job with ODI and is always a pleasure to work with and is an inspiration for many in the field. Similarly for Barbara Stocking, the outgoing CEO of Oxfam UK, who has really done a great job of leading Oxfam for the past 12 years or so. Always positive and engaging with a keen intellect and a great ability to connect with everyday people and their concerns. I wish them all well. 2. Michela Wrong on the upcoming Kenyan elections. Michela's article in the current edition of Prospect is, frankly, depressing. It reminds us how difficult it is for some places to adopt things that we take for granted and think are "a good thing". The business of holding free, fair and peaceful multiparty elections in a country with identities that are split along ethnic lines takes time. Wrong, like all of us, hopes that bloodshed can be avoided this time. 3. Crowdfunding and risky research. We are having a particularly frustrating time raising some funding for a risky research project. It's risky in that it might amount to nothing, but if it works, it could give us real insights into long term change, insights that are very different from the 3-5 year windows that are usually available from research. The risks are clear, but developing plans for managing them also takes funding, so we are in a bit of a catch 22 situation: research is too risky to fund as-is but funding is required to reduce the risks. I appreciate this is not a very attractive proposition for traditional research funders, but sometimes innovative research requires innovative funding models. 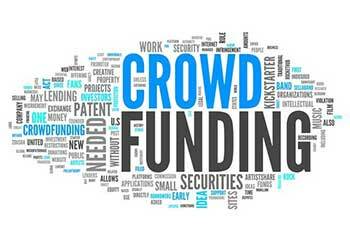 We won't give up with our traditional funders, but I have been following the crowdfunding movement. This model is lots of small funders supporting a researcher with a dream. It is possibly a mad dream, but if it is, the giver has only lost £30. It has been successful in supporting films, novels and new technology. Who knows, perhaps this will evolve into a new way of funding research. Obama electoral tactics applied to research funding, why not? It's definitely worth trying.